Erik Therwanger is one of the nation's leading thinkers on issues of personal growth, professional development, and organizational excellence. Understanding the challenges faced by businesses striving for greater results, Erik focuses on the skills he honed in the U.S. Marine Corps, the financial services industry, and the entertainment industry, to impact growth-oriented companies and their teams. 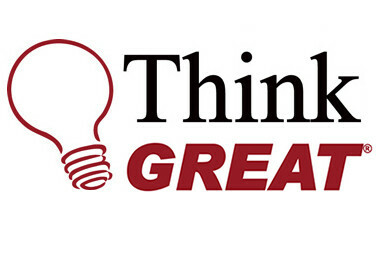 Think GREAT, LLC, is a specialized consulting firm focused on accomplishing corporate goals through a unique combination of leadership, team building and sales training. Erik draws on his combined twenty years of experience in the military, an executive business leader, and dynamic presenter to help organizations achieve greater results. As a speaker and consultant, Erik teaches individuals and businesses how they can exceed the expectations of their own potential. His strategies provide team members with the tools needed to achieve new levels of success. Erik's interactive and entertaining style allows audiences to connect and relate as he shows them how to open new doors to success in their personal and professional lives. More than just a presenter, Erik provides consistent coaching and training to ensure that organizations exceed their expectations. As the author of The Think GREAT Collection, Erik shares the successful, proven concepts in his five books to give individuals and organizations the competitive edge needed for achieving new levels of success. LEADERSHIP Link - Member Video! The Link is a journey to create a powerfully productive culture which will evolve the way you visualize, communicate and work resulting in increased engagement, attitude, energy and revenue. Email info@thinkgreat90.com for more information!